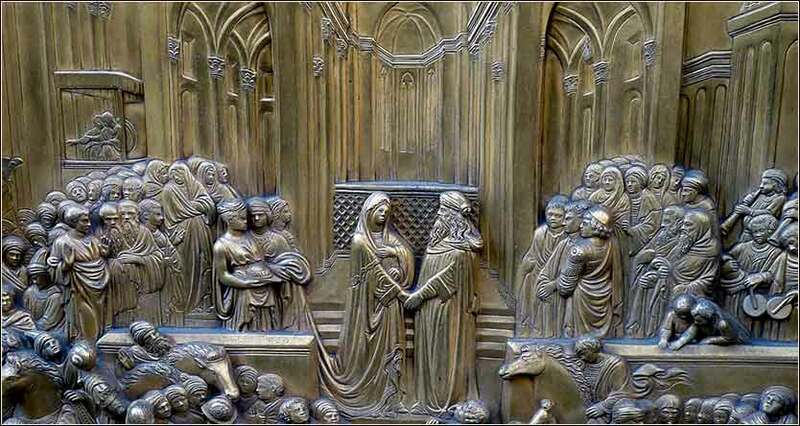 Solomon and Sheba, a panel on the famous doors of the Baptistry of San Giovanni in Florence, Italy (by Ghiberti, c. 1450). Dear Lord, please give me the patience to make it through this busy day with all the hustle, demands and distractions of modern life. Let me find the quiet time to hear your voice and feel your calming presence. I ask this in your son's name. Then Jacob called his sons and said, “Gather yourselves together, that I may tell you what shall happen to you in days to come. Assemble and listen, O sons of Jacob, listen to Israel your father. then you defiled it — he went up to my couch! 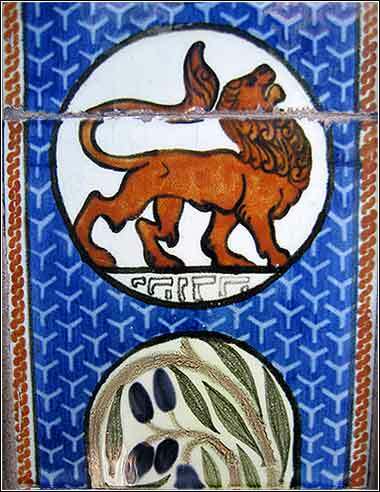 The Emblem of Jerusalem, showing the Lion of Judah. Apparently, this offense was serious enough to alienate Jacob and his eldest son, but not enough so that Reuben was driven out. Simeon and Levi, Leah's next two sons, are criticized for their temper and violent nature. Judah is favored by Jacob and, from the little we have seen, rightly so. He was apparently a man of wisdom and strength. He had already taken on a lot of the responsibility for guiding the tribe of Israel. Although it is Joseph who will receive Jacob's blessing, and become head of the tribe (as we will see in the next episode), Judah's line will be the strongest. The first 8 books of 1 Chronicles are practically unreadable, but they speak of Judah's strength (e.g. 1 Chronicles 5:2) and it is from the Tribe of Judah that David and Solomon, and eventually Jesus of Nazareth, will spring. Jacob compares him to a lion, and the "Lion of Judah" became a famous symbol in Judaism and early Christianity, for it is also associated with Christ. In The Chronicles of Narnia, C. S. Lewis depicted a Christ figure as a lion named Adam. The oddest use of the term comes from the country with the oddest relationship to Judaism and Christianity, Ethiopia. Haile Selassie, the last emperor of Ethiopia, was known as the "Lion of Judah". The figure was the central the symbol on the Ethiopian flag until 1974. Rastafarian tradition holds that Selassie was the direct descendant of Judah himself, and the notion is not terribly far-fetched. An ancient Ethiopian book related that when the Queen of Sheba returned from Israel, she had a male child sired by Solomon (the head of the Tribe of Judah), as well as a retinue of Hebrews from the Tribe of Dan. And indeed, as far back as history goes, a community of Jews (called "Beta Israel") lived in Ethiopia, although the great majority of them repatriated to Israel proper during the political strife and famine of the years after Selassie was overthrown.